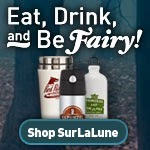 Today's the last day of the month and thus the last day of Fairy Tale Film Month here on SurLaLune. As one of the final posts in the theme for this month, I wanted to share an upcoming book of which I know very little. That is Realms of Fantasy: Fairytale Cinema and Spectatorship by Alison Tedman. Now I haven't been able to find very reliable information on this title. The cover image comes from Columbia University Press's website with a 2009 publication date listed for a cloth edition, but I can't find any record of this book actually having been in print yet. (I can, of course, always be wrong, but it's not in WorldCat which is rather telling.) Now it is listed on Amazon with a January 2012 release date. This volume brings together critical approaches from fairytale studies, film studies, and feminist studies, including philosophical and psychoanalytic methodologies. It analyzes fairytale strategies and enunciation, explores the role of fantasy in the spectatorship of fairytale cinema, and considers the potential for the feminine voice. I can't wait to see the table of contents. And since this is one of my pet topics, I am intrigued. I find myself overall bored with most of Hollywood's offerings these days. I find the portrayal of women to be way behind what exists in the real world, in books and even on television where women are given a wider range of roles and characters. Thus the reason I rarely go to the movies anymore but spend the time and money on TV series for my entertainment with my husband who is an avid tv and film watcher. So I am curious to see what this book offers when it is released. If you have spent any part of your life reading the classics, you have read about Michaelmas. Or perhaps you celebrate it now in your own observances. I myself was introduced to it through multiple readings of Jane Austen and others, but it appears often in Austen's works and I remember when I was younger and sans internet wondering what it was. Well, today is Michaelmas. If you celebrate, enjoy! If you don't and want to know more, there's a helpful entry on Wikipedia. Yes, it has been primarily a religious holiday, but it is also strongly associated with the autumnal equinox--which I neglected to post about last week--and is often observed along with that, too. I also found this website helpful about Michaelmas where you can read about customs, history, etc. And yes, I count this as pertinent to SurLaLune as part of customs and traditions with associated folklore, albeit they are primarily religious traditions which have a heavy influence on folklore. It just wouldn't be fairy tale film month if we didn't salute Georges Méliès, one of the fathers of fairy tale film. You can find many of his films on YouTube as well as several DVDs, of which the highest recommended is Georges Melies: First Wizard of Cinema 1896-1913. Yes, I know fairy tale film month has been Cinderella heavy, but then so is the fairy tale world. I can't help that Méliès was inspired by Cinderella instead of say, Little Red Riding Hood, a perfectly popular French fairy tale, too. He was acactually so fascinated with the story that he made another film of it in 1912 although I didn't find that one online in my quick searches. He also explored the Arabian Nights which I will also embed in two parts below. Bluebeard Tales From Around the World is now available as an ebook. It is priced $9.99 compared to $39.99 for the paper version (although Amazon has the paper discounted to $31.57 for now). I'll be reading from the book at the Southern Festival of Books, too. If you happen to be in the Nashville area that weekend. I'll be appearing Sunday, October 16, 12:00pm - 1:00pm on the Chapter 16 Stage. And, yes, while we have Jim Henson on the brain, I might as well post about his Frog Prince film, too. This is another fan/cult favorite. This time I will link to one of the videos on YouTube since this one has never been released to DVD to my knowledge. There are VHS tapes around, but how many people even have a VHS player anymore? I do, but I am a rarity. And I don't own this. And while we're here, I'll add Henson's Hey Cinderella and Muppet Musicians of Bremen. All of these were made for tv, but that's film and they are charming. I didn't go hunting for the shorts available in Muppet Classic Theater, but I am sure you can find those, too, if you look. They include "The Three Little Pigs", "King Midas", "Rumplestiltskin", "The Boy Who Cried Wolf", "The Elves & The Shoemaker", and "The Emperor's New Clothes". Remember six weeks ago when I posted about Straw House, Wood House, Brick House, Blow: Four Novellas by Daniel Nayeri? Well, one of the stories from the book, Straw, is now available free to Kindle readers. In this profoundly allegorical cutting-edge novella, a sizzling Western set on a farm filled with living toys, readers meet a young straw man who must lay his life on the line to defend his master's home, who loves a basil-eyed girl, and who searches for manhood through the fiery confusion of adolescence. If you enjoy reading "Straw House," check out Daniel Nayeri's three other whimsical riffs on classic genres, all available in the collection Straw House, Wood House, Brick House, Blow. Straw House, Wood House, Brick House, Blow: Four Novellas by Daniel Nayeri . Okay, no, this book isn't released until October, so I am jumping the gun. But from what I can tell it really doesn't have anything to do with fairy tales other than its borrowing the concept of straw, wood, brick and blow from The Three Little Pigs. That was enough to intrigue me. Daniel Nayeri is a writer and editor in New York City. He loves pastry chefing and was once an award-winning stuntman. And, no, I don't find it impressive this was written entirely on an iPhone. Toilet paper, paper, computer, iPhone, I don't care how or where it was composed, only if it is good. I hope it is because I am in love with the concept and the story descriptions are interesting, too. The kitschy stuff I can leave behind. Breadcrumbs by Anne Ursu is released today, in ebook format, too. While one might assume it is a Hansel and Gretel retelling, it is actually a Snow Queen interpretation. A stunning modern-day fairy tale from acclaimed author Anne Ursu. Once upon a time, Hazel and Jack were best friends. But that was before he stopped talking to her and disappeared into a forest with a mysterious woman made of ice. Now it's up to Hazel to go in after him. Inspired by Hans Christian Andersen's "The Snow Queen," Breadcrumbs is a story of the struggle to hold on, and the things we leave behind. Cronus Chronicles trilogy: The Shadow Thieves, The Siren Song, and The Immortal Fire. She teaches at Hamline University's MFA program in Writing for Children and is a lifelong Minnesota Twins fan. Anne lives in Minneapolis with her son and cats. From the Brothers Grimm: Willa: An American Snow White from Davenport Films happens to be one of my favorite film versions of Snow White. It is not inexpensive on DVD, but thanks to modern technology it is available to rent for 72 hours for $1.99 on YouTube. You may not be familiar with the From the Brothers Grimm series, but it is a fun and educational one, offering fairy tales with a Southern U.S. flavor--which I adore since I am a Southern girl. Willa is one of the best in the series although my husband and I have a fondness for From the Brothers Grimm: Soldier Jack: The Man Who Caught Death in a Sack , one of our personal favorites. We haven't watched it in several years--we only have it on VHS--but John still talks about it on occasion as if we watched it only a few weeks ago. It is one of his favorite fairy tales as a result of this film, although being John, he predictably loves trickster tales. Really, these films should be watched, especially Willa and Soldier Jack. And where else can you see and share film versions of Mutzmag or Bearskin or Ashpet or The Goose Girl and others? It's too bad the series has essentially ended but I'm happy we have these.